Master Israel Velez III is the President and founder of American Modern Jujitsu & The Diversified League of Martial Artists. 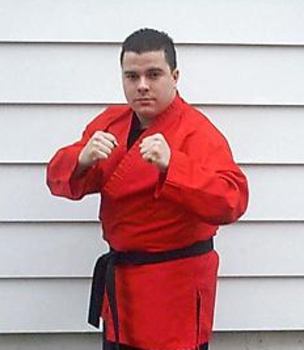 Israel Velez offers Jujitsu and Karate in New Jersey, however, if you do not live in New Jersey he can provide a distance study program through his award-winning AMJ home study courses. Check out the American Modern Jujitsu and DLMA websites below! Isarel Velez has earned black belts in several martial arts styles, and has taken the most practical techniques, concepts, and excersises from all the arts he has studied and put them in the American Modern Jujitsu system. He also teaches freestyle Karate for the martial artists that do not want to grapple . Please enjoy this website and learn more about Master Velez and the federations he administrates.